Schools call it “orientation” for a reason. When you first arrive on campus, it can seem like you have so much to do, but you may have no idea where to start. Between selecting classes, navigating campus, and trying to make your first footholds with people you hope may become friends, that first week can be daunting to say the least. 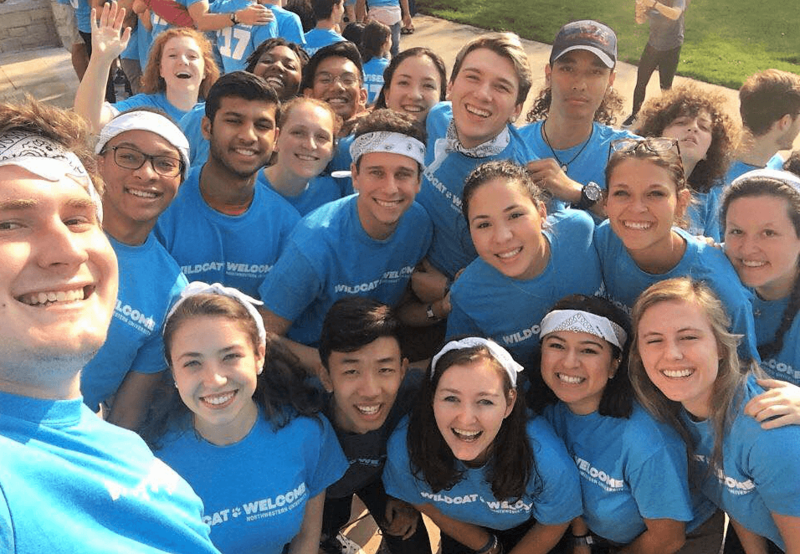 At Northwestern, students are paired with upperclassmen mentors aptly named “Peer Advisers” (PAs) to make that transition that much easier. For me, it wasn’t until I was lucky enough to become one of those mentors during that I understood how much there is to learn about navigating my Northwestern Direction (i.e. my college experience). Okay, I get it, “Northwestern Direction” may seem like a cheesy catchphrase I took straight from the handbook. However, as a PA, teaching this idea was more than explaining to my first-years that the address of the residence hall 1838 Chicago, was — in fact — 1838 Chicago. From the moment many students decide to come to Northwestern, or any school for that matter, the big worry can be how to do college… “right.” It’s a fair worry, but the idea that we can come here and there’s only one best way to spend your time is just not true. As a PA, I had to figure out how to help first-years understand that your original plans may change; your major may change or your auditions might not go as planned or you may end up hating the smell of your roommates dirty, dirty socks, but that’s okay. You can absolutely adjust. You’ll just have a different story you’ll tell at the end. As a Communication Studies student and Communication Studies Peer Adviser to, well, Communication Studies first-years, our fears come in their own brand. Fears like “what if I can’t balance extracurriculars” to “how do I even explain what Communication Studies is?” are all too common, but totally understandable. Navigating new programs is as confusing as it is exciting, and I did my best to help my students understand it one bit at a time (starting with “what in the world is Communication Studies”). As a PA, I wasn’t taught that these things don’t matter, but that you can find ways to make sure those anxieties don’t rule your undergraduate experience. There are plenty of things to be a part of, and more importantly, people to meet and learn from at Northwestern that make it all worth it. In just two years, I feel like a very, very, different person than when I left Dallas, and much of that is thanks to the range of experiences that were offered right from the start of the first year.